What's On Fite, Mr. 4th Row & Fin Fish watch, analyze, and fight their way through programming found on Fite TV app. European Uppercut: Episode 140 - EU Negotiations Begin! The talks have become for Britain to leave the EU, so the show must adapt, and we welcome back the Hallmark of Sweden to the show... for the return years in the making! And I guess our disability quota was down too! Host: Adam Pearson and Co-Host: Hallmark of Sweden. It's the second week in a row that Legends on Siren FM has paid tribute to Queen, and we've reached the iconic 80's! How many times can we work the work Insane into this show this time around? Tune in and find out! STFU Episode 26 - Mind Melon! On this week episode, Charlie develops psychic powers, Old School almost gets fired, the Platonic Duo have an identity crisis, and we answer more emails! T-Mac tells us about how he got his face nearly bitten off by a dog, and they discuss all the hottest news, results, and rumors in the world of professional wrestling this week! European Uppercut: Episode 139 – Legend goes solo…ish! In a first for @LivingLegend148, he goes solo on the European Uppercut. What? He doesn't? He cheats? Gets Kai to do the legwork? What an intelligent individual he must be!... But this week, he brings the emails, the Not-so Knockout News, talks Money in the Bank and , well, that's about it really! The day has come, Kai Valentine is leaving Siren FM, atleast on a LIVE day to day basis. So for what could be the final time, here is Select-A-Cart! It's Kai Valentine's FINAL LIVE episode of Legends on Siren FM, and it's time to pay tribute to Queen! Justin (@HeavyseT330) and Kayden (@KVR216) sit down to review "Night Of The Creeps" and chat about the late AIW Co-Owner Chandler Biggins. Hosted by Ciaran Tuttiett on Sunday 18th June 2017. 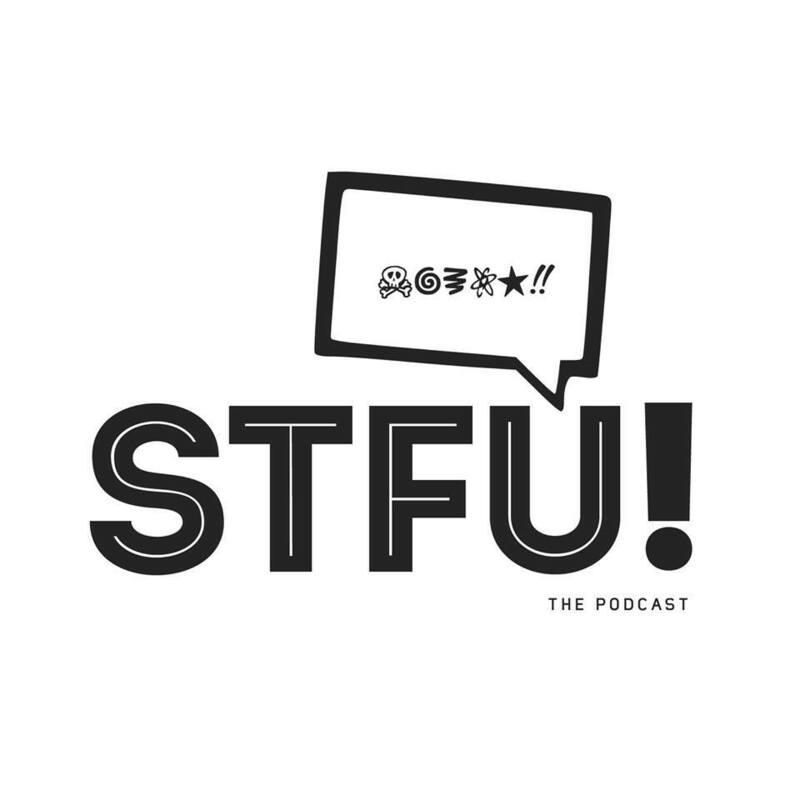 STFU Episode 25 - New Jersey Enema! Brooke returns to join the platonic partners in crime this week to discuss Nanobots, Charlie's "Dream Reader" segment returns, Old School talks Bidets, and we play a round of "Truth, or Fake News!" Captain Awesome and T-Mac have a fun time discussing everything that happened in wrestling this week, and even take some time to preview and make picks for Money in The Bank! European Uppercut: Episode 138 - Wikipedia Woes. Kai Valentine continues his solo phase of the European Uppercut Podcast, reading your emails, analysing the news and predicting Money in the Bank. On this episode, our sub-named, 'Who's On Fite", we interview Rocky Mountain Pro Superstar, Nanny AC. We find out about how she got started, if Fin Fish still has heat having fun with the AC in Nanny AC's name, and much more! Also, we talk a little Impact Wrestling and their upcoming Slammiversary PPV! Select-A-Cart - The request show that nobody asked for! Originally aired on Siren 107.3FM at 10am on Tuesday 13th June 2017. This week for Legends on Siren FM, Kai Valentine pays tribute to Phil Collins.